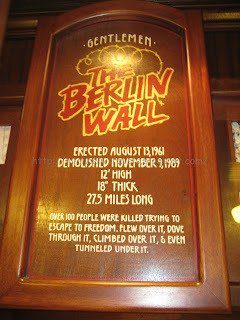 I didn’t get to see the Berlin Wall when I visited Germany but got to see a section of it in downtown Las Vegas. 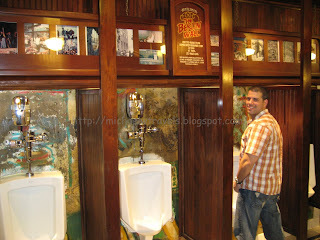 The Main Street Station Casino has a section of the wall in one of the mens bathroom with urinals attached to it. 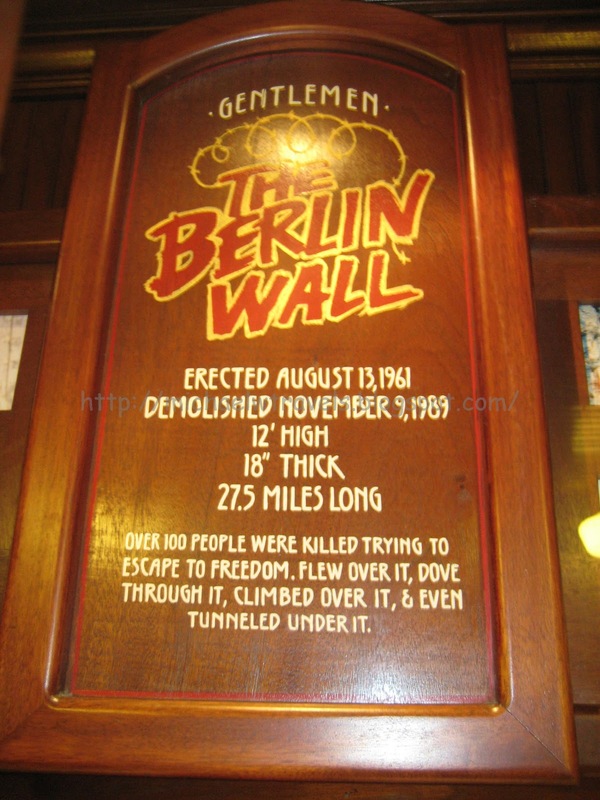 It was fun searching for the bathroom where the wall was located and now I can say that I got to pee on the Berlin Wall! The Main Street Station Casino is located in downtown Las Vegas at 200 North Main Street. The bathroom is located on the main floor.